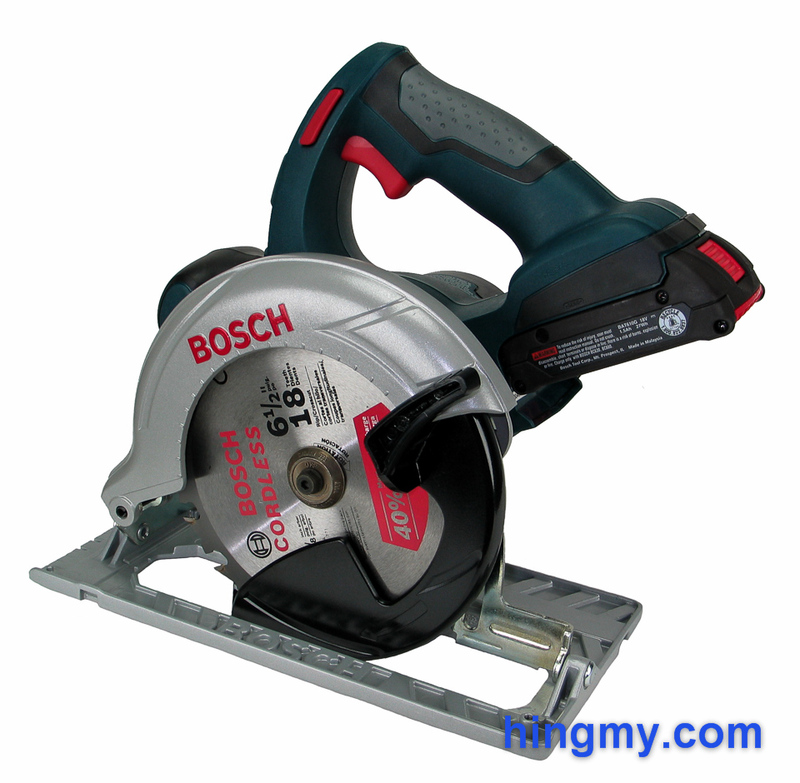 Cordless circular saws are by definition limited tools. If they worked flawlessly the market for AC powered saw would dry up instantly. 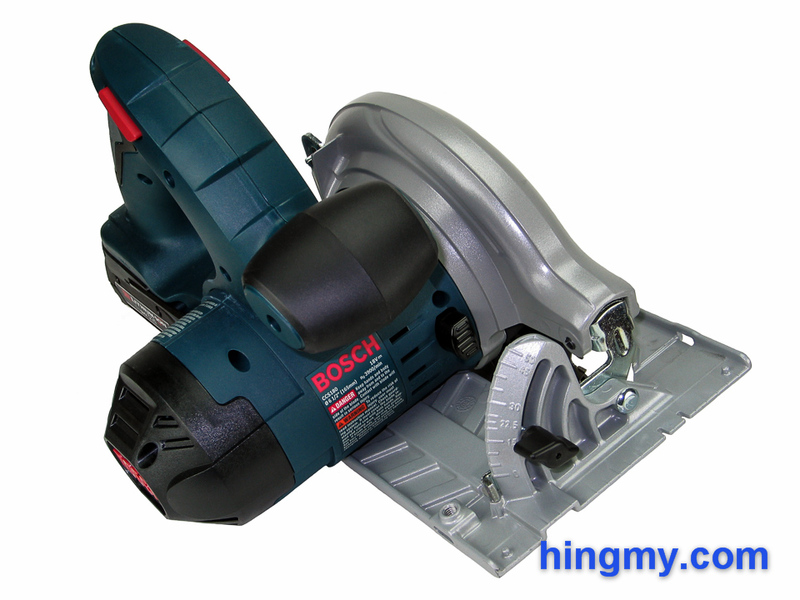 Going into a cordless circular saw review the challenge is always to articulate what the saw can be used for, rather than finding out how it fails. 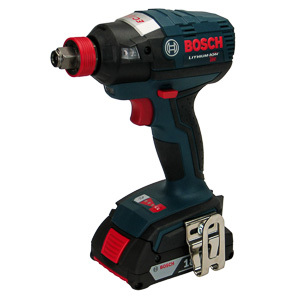 This week I got to play with the Bosch CCS180, a very promising candidate packaged in an L-Boxx. 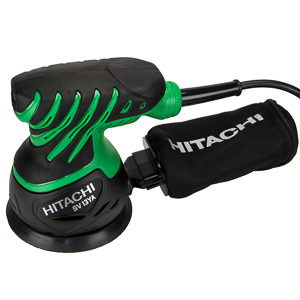 Let's take a look what this saw can do, and how it can help you get your work done. Short of the lower blade guard the build quality of the CCS180 is excellent. The motor is housed in a thick plastic body that has no moving or ill-fitting seams. Should the motor ever need servicing removing two screws is all it takes to gain access. 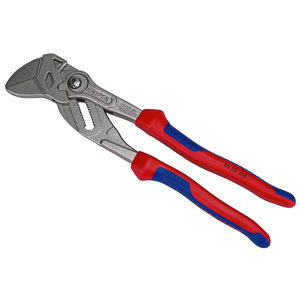 Both the main and forward grip are covered with rubber for a more comfortable feel during operation. The controls allow both left and right handed operation. The base plate of the saw is cast as a single unit from aluminum. It is one of the reasons why this saw cuts so well. The plate won't bend under any load you could reasonably subject it to. Combined with the sturdy motor mount, the base plate guides the blade through a cut without the slightest amount of deflection. Tick marks along the front edge of the plate can be used for making rough cuts in relation to the blade. The missing labels on the scale require you to count the marks every time you do so. A sharpie fixes that problem in a hurry. Should you need them, there are two kerf marks; one for 0 and 45 degrees. The saw uses a trigger protected by a safety as the main power switch. To turn the motor on the user has to first engage the safety from either side to unlock the main trigger. Once the saw is running, the safety locks into place and can be released. Operating the safety with your thumb feels slightly awkward. It is not positioned properly to make the operation comfortable. This issue should not keep you from considering this saw, but I must mention anything that gets me annoyed while reviewing a tool. Everything about the CCS180 is well design except the lower blade guard. 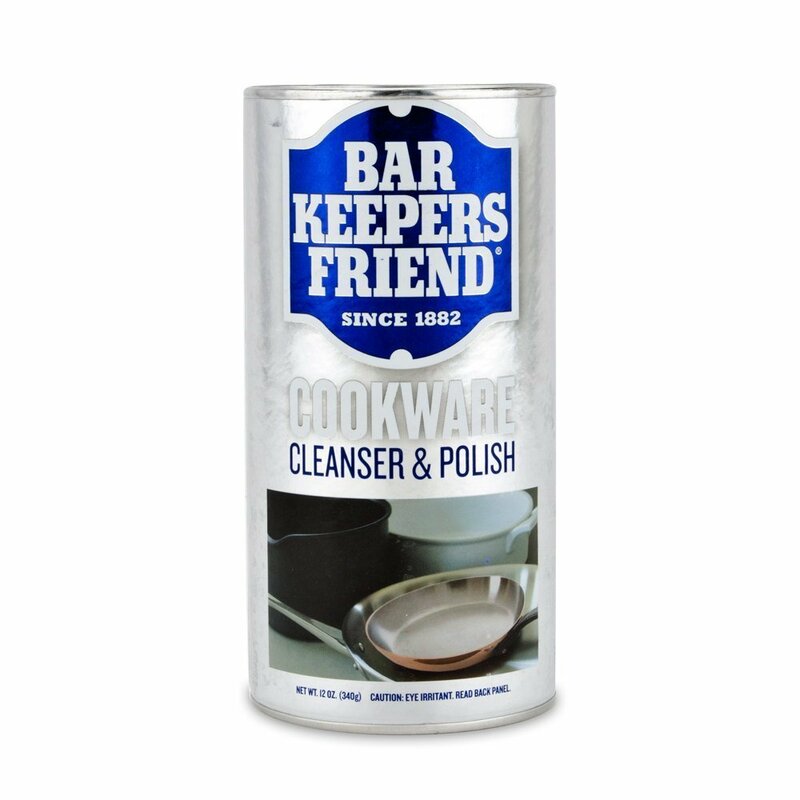 What you have here is essentially a great tool with a glaring flaw. The upper blade guard of the CCS180 is made from cast-aluminum and functions as the core of the saw. The motor and base plate are connected to it. Nearly indestructible the guard fails to collect all dust produced by the blade. In some situations some dust escapes near the front of the guard. What the guard does collect it inconveniently ejects right onto the base plate just behind the blade. Sight lines are poor due to the lip of the upper blade guard being in the way. The operator has to lean forward quite a bit to see the teeth of the blade as they make their cut. This puts the face of the user right in the path of the dust particles being ejected near the cut. A face shield solves this problem, but it's a problem other saws do not have. The lower blade guard is the worst part of the saw and the first thing you are likely to notice when you pick the saw up for the first time. It is made from a single piece of, what feels like, low-quality plastic. Should you ever drop your saw, the blade guard is likely to shatter. The guard's lever is particularly vulnerable. If that was not bad enough, the fit between the guard and the motor mount is a very lose one. The guard rattles while being used, but never touches the spinning blade. When handled with care the blade guard is still full functional. It rides up and out of the way on its own during almost every cut. You'll only notice the guard when you put the saw down. The designers made things worse by placing the guard's lever out of reach of the hand on the main grip. 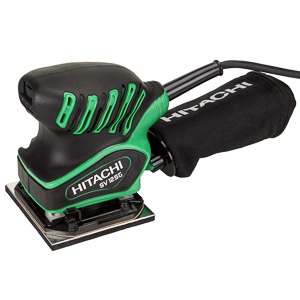 You'll need two hands run the saw with the blade guard fully retracted. Compared to the competition the depth adjustment mechanism of the CCS180 is particularly well built. A large plastic lever unlocks the base plate with one quick 20 degree turn. Locking the mechanism after positioning the saw properly is just as easy. Once in position there is no deflection in system in any direction. This is thanks to the very sturdy rear bracket, which holds the saw in place better than a lot of brackets on full-size saws manage to do. You can use this saw with reckless abandon and the depth adjustment mechanism will keep your cuts aligned all the way through your workday. The depth scale built into the housing of the saw is accurate to construction standards, but is missing tick marks between the major depth settings. It works well enough to limit how much blade is showing below the cut, but can't be used for making accurate slot cuts. 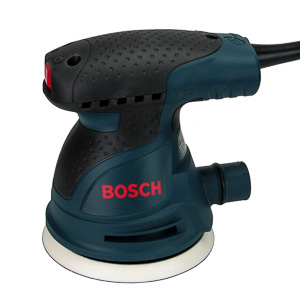 Excluding the depth gauge the engineers at Bosch have done almost everything right with this design. 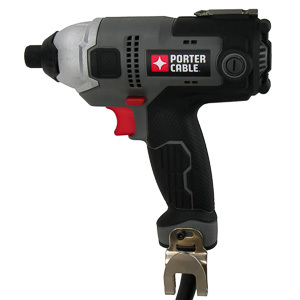 The depth adjustment mechanism of the CCS180 is both easy to use and built to survive the demands of the job site. A bracket integrated into the base plate functions as the forward mounting point of the angle adjustment mechanism. Immensely strong and guaranteed to stay square to the base plate of the saw, the bracket ensure a long life of the mechanism. The rear bracket is much smaller, but built the same way. A thumb screw unlocks and secures the tilt mechanism. A couple of turns free the base plate and lock it back into place anywhere along the 50 degree range of the saw. The sturdy nature of the thumbscrew allows the user to tighten the mechanism down firmly. The base plate shows no deflection, even when the saw is handled very roughly. On the negative side the thumb screw is too small to be called comfortable while wearing gloves. In some cases you might have to take your gloves off to break a particularly tight nut loose. The angle gauge stamped into the front mounting bracket is accurate to construction standards. Positioning the base plate with +/- 1 degrees of accuracy takes only seconds. There are no presets for commonly used angles besides the two ends of the gauge at 0 and 50 degrees respectively. Even the 45 degree setting has to be dialed in manually. Should the gauge on your saw come misaligned from the factory, a set-screw built into the base plate quickly zeroes it out. Overall the angle adjustment mechanism is well engineered. It will stand up to rough handling for the life of the saw, but it is not the most convenient to use. If you demand fine woodworking levels of accuracy, you'll have to measure the angle at the blade. Blade Changes are needlessly finicky. 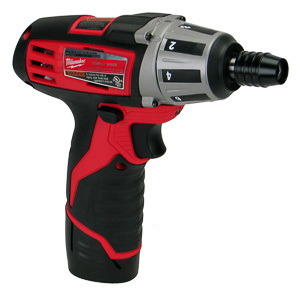 Removing the arbor bolt is quick to complete using the large, easy to press spindle lock button, and the Allen key stored in the rear of the tool just above the battery. Getting the blade in and out is harder. The throat of the lower blade guard is so narrow that the only way to get a blade installed is to bend the guard out of the way every so slightly. The guard will take the abuse, but try doing this on the job site while standing up and holding the saw in your hands. 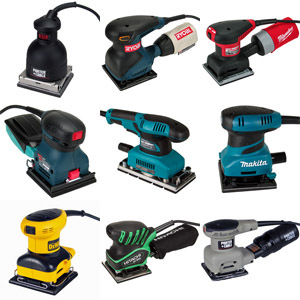 You'll need to find a workbench to get the blade change done in a reasonable amount of time. 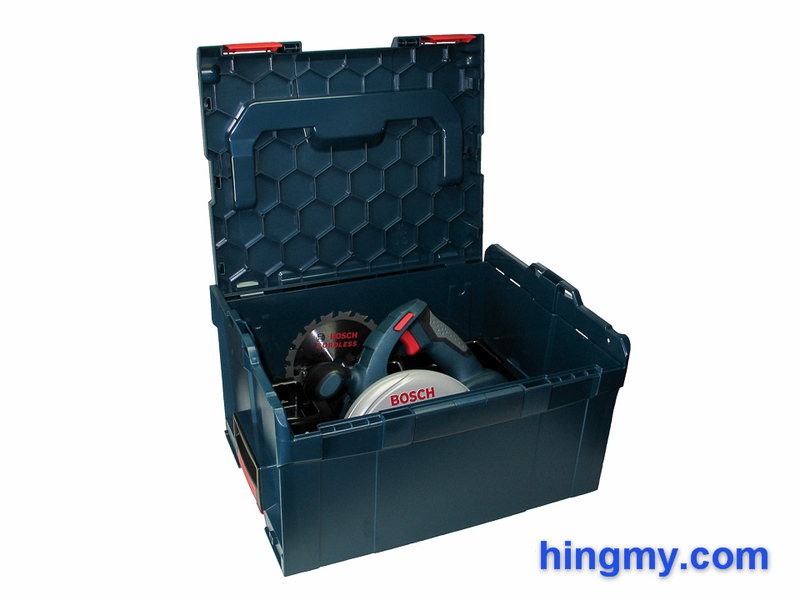 The kit version of the saw comes in a L-Boxx 3 case for easy storage and transportation. The L-Boxx system itself is a very good way for contractors to manage their tools on job site and in their work truck, but it is not without its shortcomings. Besides the issues I highlighted in the L-Boxx Review, this particular box wastes a lot of space. The plastic insert positions the saw in the box in such a way that there is little room left for other tools to fit in the box. This is a shame considering that two complete saws fit into the box when put in loosely. Any blades and accessories you place in the box are free to move around, especially when the box is placed on its side. This should not be a significant issue, since a box of this size will almost always be at the bottom of a stack. As far as storage systems go, this design is still one of the better ones. 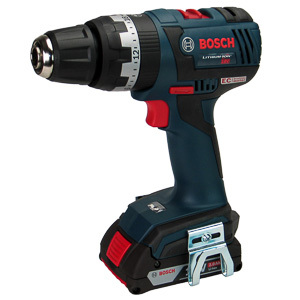 Bosch's 18V battery system is one of the best in the industry. 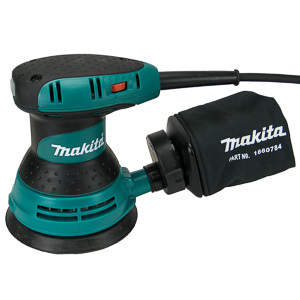 Every component from the battery to the tool itself is well made. The new battery design introduced recently moves the battery gauge from the tool to the battery. The gauge lights up at the press of a button and shows the charge status of the battery using three green lights. The information one can learn about the battery from these lights is limited, but they'll keep you from going up a ladder with a nearly dead battery. The charger included in some kits restores a dead battery to a full charge in under 30 minutes. 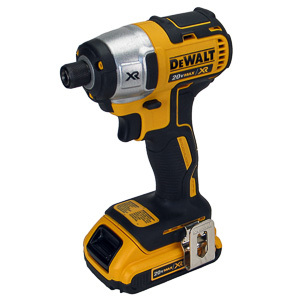 This can be a little too long when working with a power hungry tool like a circular saw, but is plenty fast enough for most of the other power tools that take the same battery. In the shop the CCS180 performs well. 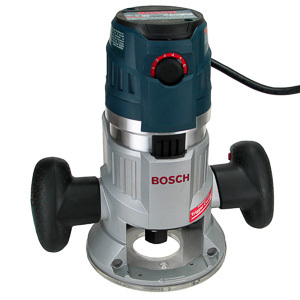 The motor has the power and speed to cut two-by lumber at a reasonable pace. If you make only a few cuts with your saw every time you use it, the CCS180 can be a suitable replacement for a traditional AC powered circular saw. The time you save setting up and handling the saw is easily worth cutting a little slower. At the cutting station of a framing job the story changes. The saw's natural speed is slower than the typical speed a framer wants to work at. Every cut will feel awkward. If you try to push the saw through the wood any faster, the blade will vibrate and throw off the cut. The quality of the cut is excellent. With a guide the saw produces perfectly straight and true cuts every time. There are no signs of blade deflection anywhere. Tearout is significant along the top edge of the material. The saw does not have a feature to manage this problem. The lower edge, which gets cut while the blade is on the upward stroke, is nearly tearout free. The saw ejects almost all dust on the work piece below the rear end of the upper blade guard. There is no way to attach a dust collector to manage the dust. Due to the up-cutting nature of the saw the blade can launch particles directly upward. The upper guard fails to catch all these particles leaving some to hit the user in the face, if he is leaning forward. This seems to happen particularly often when the blade is exiting the work piece. Using safety glasses while using this saw is strongly recommended. The endurance of the saw is well matched with its usage scenario. With a 3 Ah battery installed the saw will process several sheets before a battery change is in order. You'll get tired of the performance of the saw long before you'll start complaining about its battery life. The smaller 1.5 Ah battery is a poor match for the saw. It's very easy to drain a battery faster than the charger can restore the spare. Overall the CCS180 performs well on a per-cut basis. Carpenters, installers, and anyone who only has a few cuts to make at a time, will judge the saw fully-capable. Large jobs are an exercise in patience due to the lacking top speed and power. 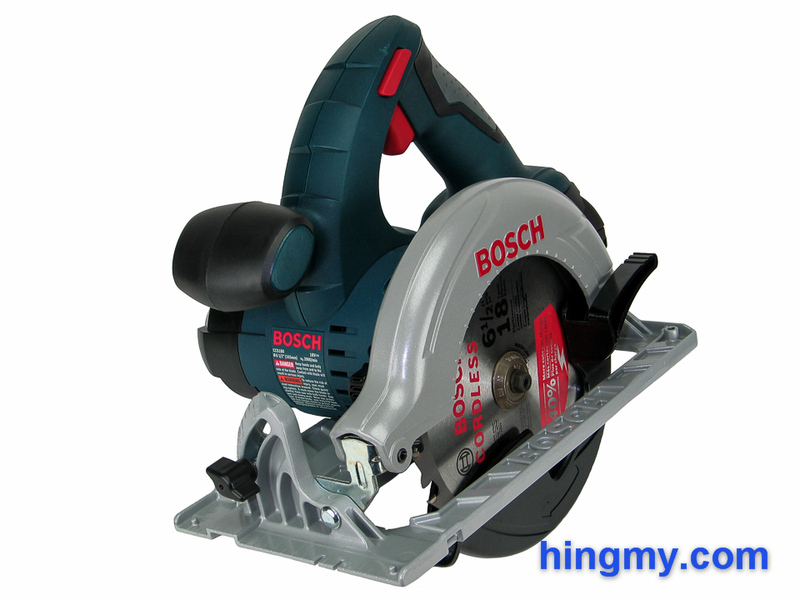 The Bosch CCS180 circular saw is a well built saw that performs best in the hands of anyone, who only has a few cuts to make at a time. Cuts are straight and true, but take longer to complete than those produced by an AC powered saw. 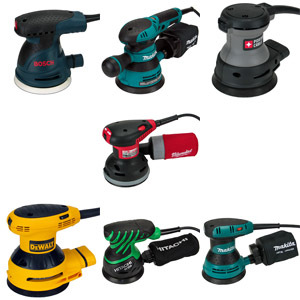 Professionals can easily recoup this time through the much faster setup time a cordless saw offers. High volume user will quickly get frustrated using the CCS180. 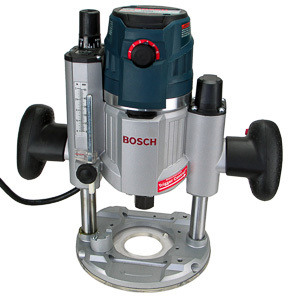 The excellent base plate, durable height adjustment mechanism, and accurate angle adjustment feature allow this saw to survive on the job site. The plastic lower blade guard dials the overall quality of the tool back by a wide margin, ultimately costing the saw a top rating. 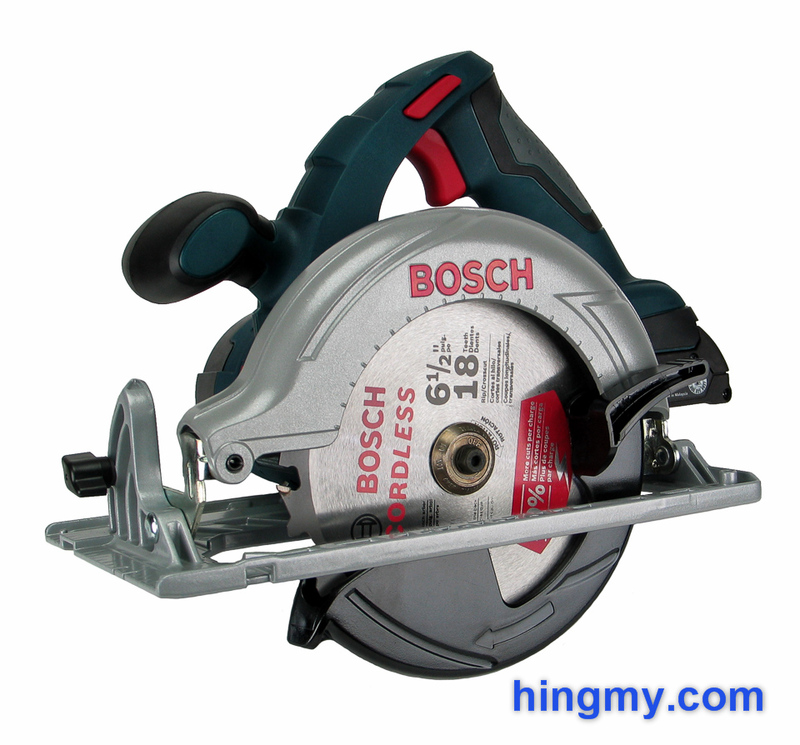 If you are a Bosch 18V user, you can buy the CCS180 without hesitation. It's not perfect, but it'll perform at a professional level. Free agents and brand-agnostics should take a look at the field. 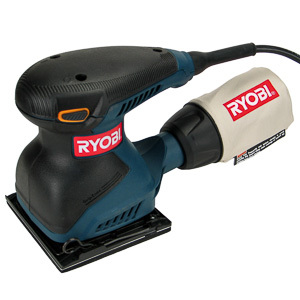 The CCS180 is not the last word in cordless circular saw design.